Holidays are the best part of our lives when we have lots of entertainment and fun. It is also necessary to take these short breaks as it provides us an opportunity to forget all our worries and spend some time with our friends and family members. Thus, while planning for such a break it is necessary to undergo some research regarding the holiday destinations. There are several places all over the globe which attract tourists towards it but you must select a place which offers it best to you. There is a place in Australia considered as the home to natural beauty, the Southern Highlands. This place is full of wonderful natural treasures which can be explored by you. The rolling hills and the dense pine trees increase the beauty of the surroundings. There are several flights which can lead you to Sydney Airport. From Sydney you can either hire a car or take a shuttle bus and reach Southern Highlands. This journey would be exciting as it allows you to have the sightseeing of this place while reaching in here. 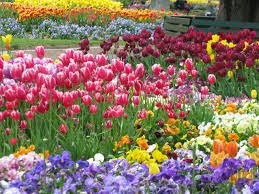 Australia’s biggest floral festival is held in Bowral and the major attraction of this festival is the colorful tulips. You can see thousands of varieties of tulips during this festival held in the Corbett Gardens. There is a private garden also open for tours and walks. 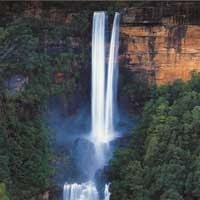 This is a high waterfall of about eighty meters situated in the Morton National Park. The running white water of the fall and the greenery all around makes the place look like a heaven. This is one of the most visited places in Southern Highlands. This place is most loved by the cricket lovers. This cricket museum is situated beside the outstanding Bradman Oval just opposite to the Bradman home. The museum displays the exhibits revealing the triumphant story of Bradman. 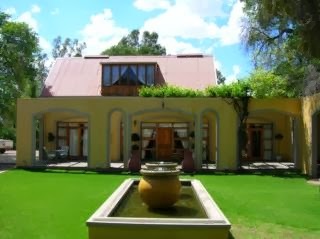 After enjoying the natural beauty and stunning landscapes the whole day, there arises the need for a comfortable stay. This provides you a place to relax and refresh yourself for the next exciting day. The visitors can find several outstanding places in Southern Highlands offering the best services to their customers. The hotels which can be checked by the tourists include Best Western Grand Country Lodge, Tree Tops Guesthouse, Surveyor General Inn, Milton Park Country House Hotel & Destination Spa and Bundanoon Hotel. This article provides you all relevant information regarding The Southern Highlands. 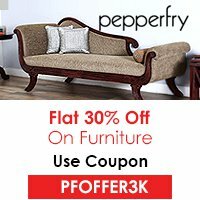 You just need to make proper bookings, reach this place and enjoy with your family.